For artists who want to move temporarily or permanently to the art capital of the world, here's the ultimate guide to getting started in New York! Covering everything from the challenges of getting around town and finding affordable studio space to landing an art related job and getting exhibited, readers will discover proven solutions to every problem a newcomer to the New York art world may encounter. Here are dozens of insider success tips for finding a creative niche; interacting successfully with art dealers, gallery owners, and publicists; seeking financial, marketing, and personal support; and much more. Meticulously researched and very detailed, this valuable guide offers a realistic yet encouraging perspective on the thrills and pitfalls of finding success in this competitive art haven. With this meticulously researched and detailed companion, aspiring artists will ultimately spend more time making art and less time getting organized. 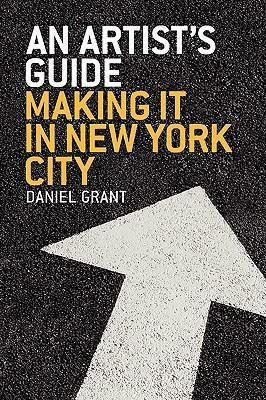 Daniel Grant is the author of several books on the practical issues of being an artist, including The Artist's Resource Handbook, The Business of Being an Artist, The Fine Artist's Career Guide, How to Start and Succeed as an Artist, and The Writer's Resource Handbook, all published with Allworth Press. He is a contributing editor of American Artist magazine, a former art critic for Newsday (Long Island, New York) and The Commercial-Appeal (Memphis, Tennessee), and he was editor of Art & Artists from 1978 to 1984. His articles and essays have appeared in such publications as ARTnews, Art in America, New York Times, Washington Post, Christian Science Monitor, Boston Globe, Chicago Tribune, Miami Herald, Philadelphia Inquirer, Newsday, The Nation, New York, Art & Auction, and Art & Antiques. He has taught at a number of colleges and universities, including Iowa State University, Massachusetts College of Art, Smith College, University of Massachusetts and Yale University. He lives in Amherst, Massachusetts.